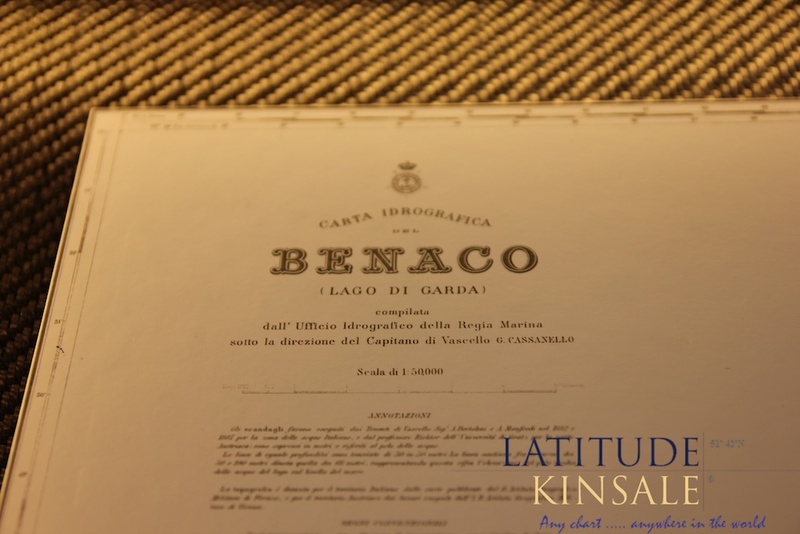 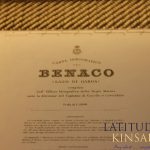 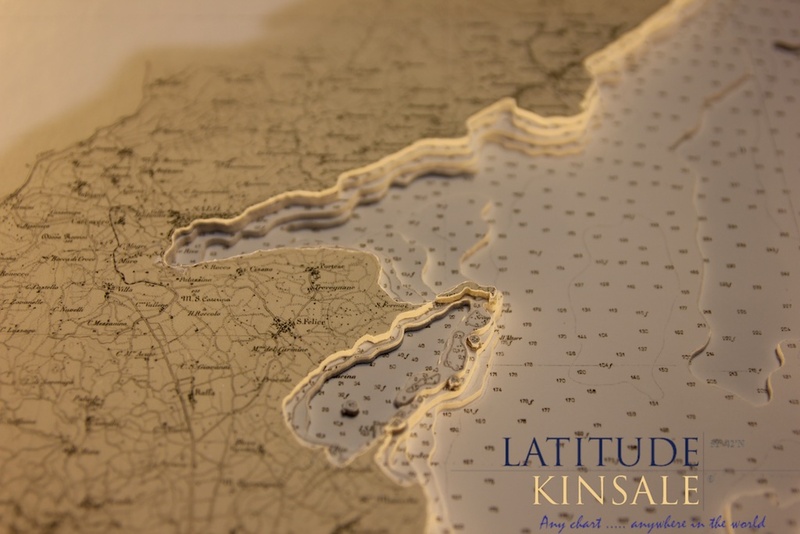 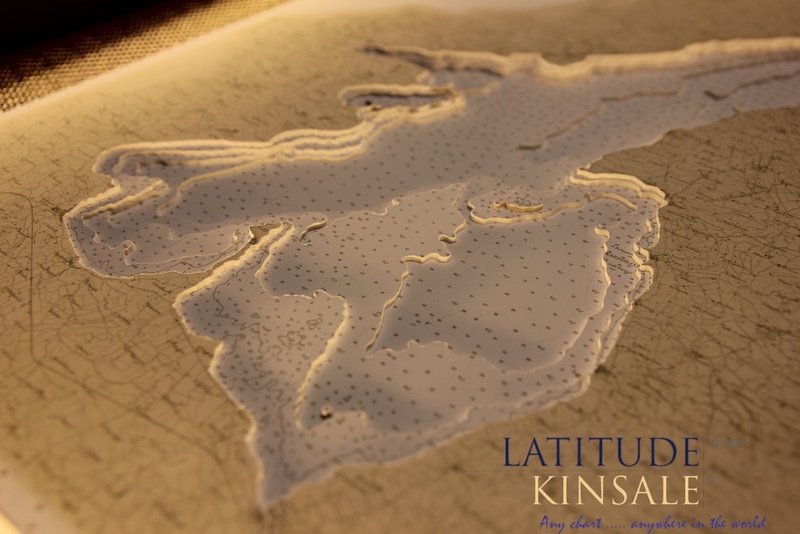 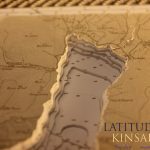 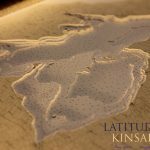 Latitude Kinsale were delighted to have the opportunity to work with this very old and rare chart of Lake Garda, or Benaco, as it is named on the chart. 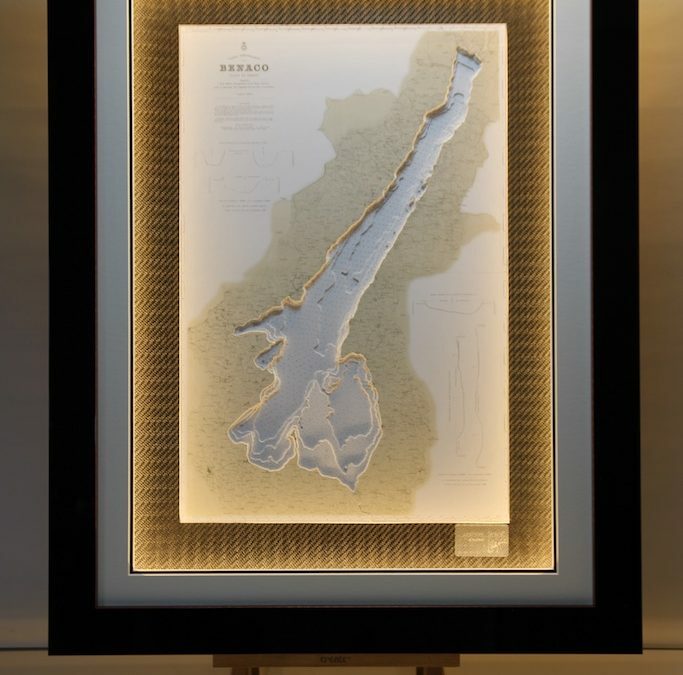 Notable locations around the lake include San Felice del Benaco, Gargnano, Riva del Garda, Malcesine, Bardolino and Sirmione. 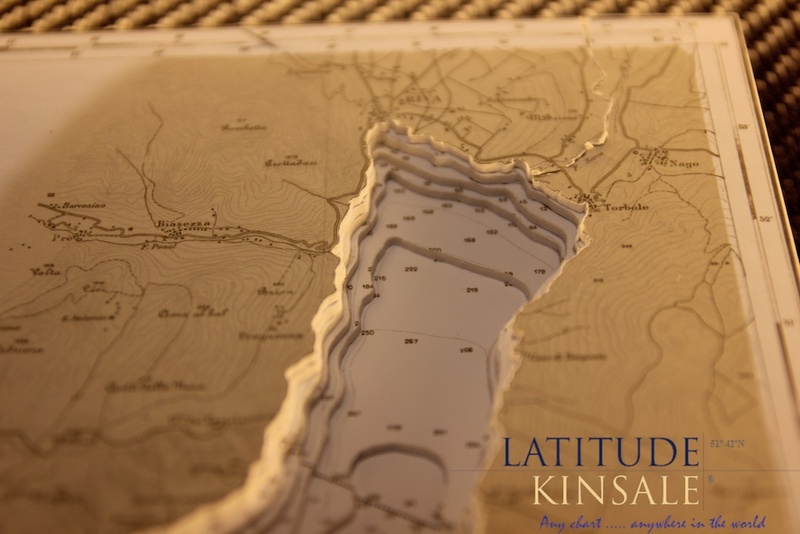 You can see that the shape of the lake is accentuated by only including the immediate surrounding townland around the lake perimeter. 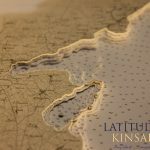 The colour tones alone exude a sense of the history of the chart. 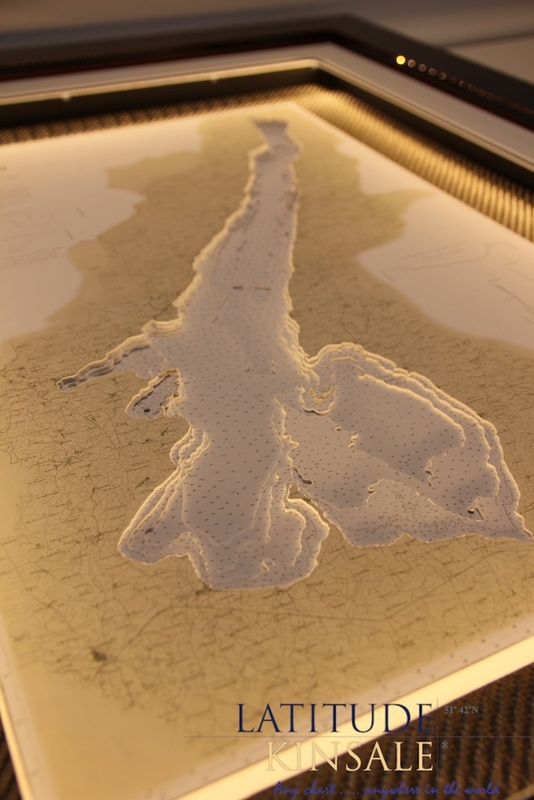 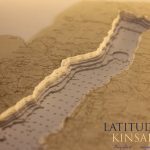 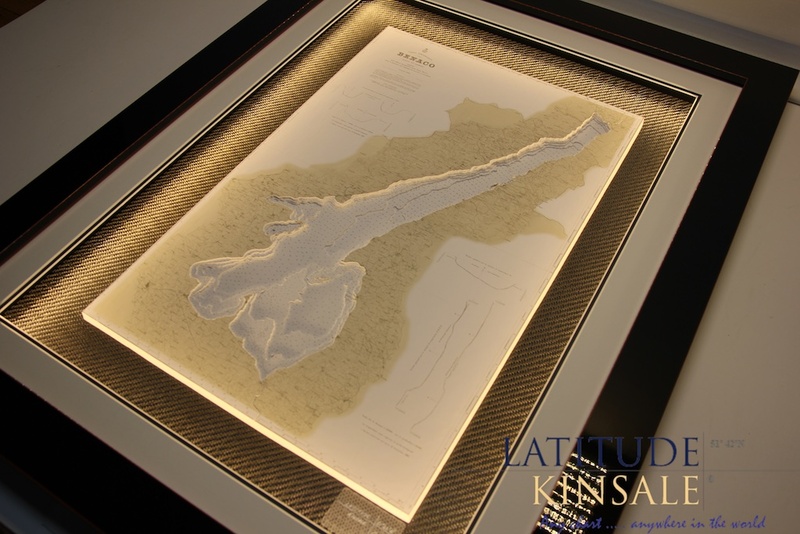 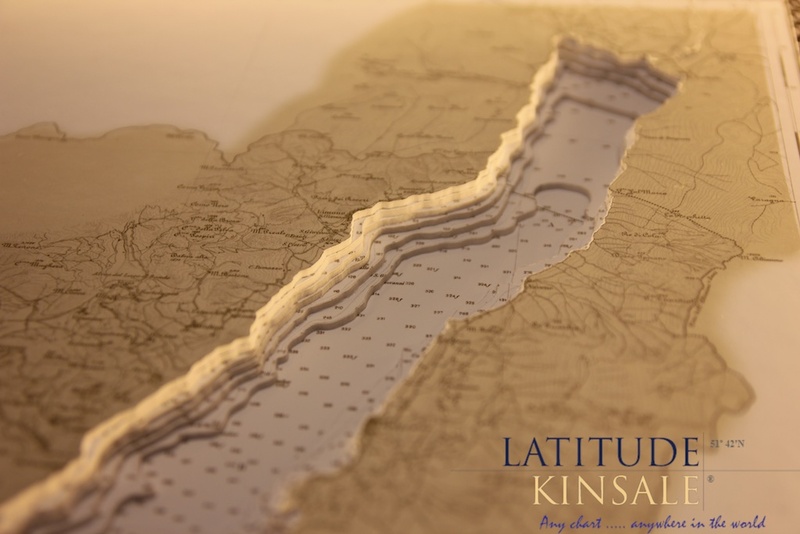 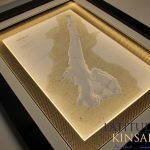 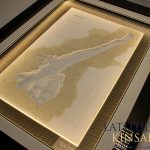 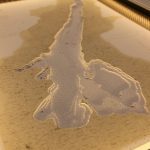 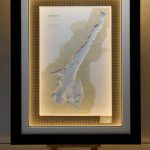 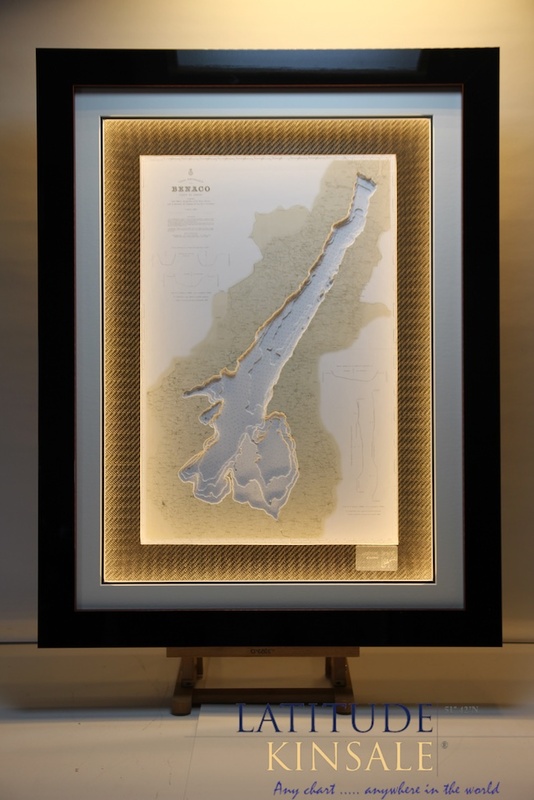 7 layers of 3d relief represent the depth contours of the lake and add a contemporary touch to the chart, while maintaining its authenticity as an old document by a careful choice of framing. 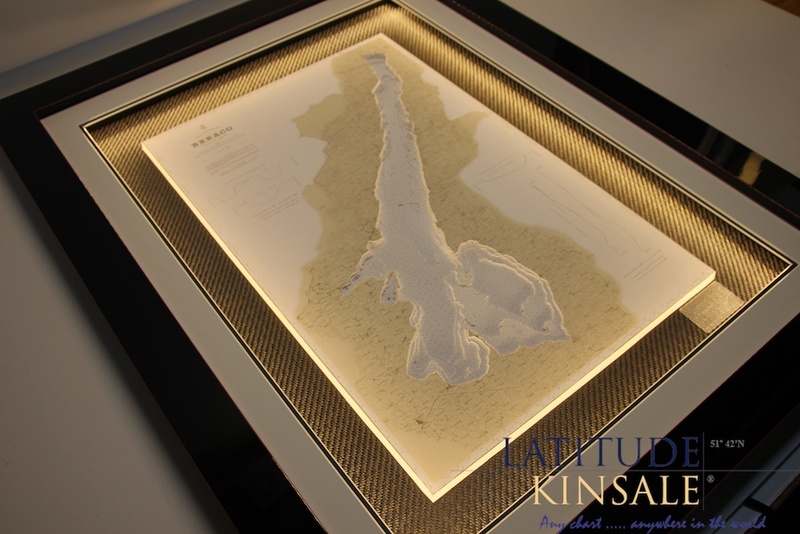 A golden background was chosen which looks great with the surround lighting built into the black frame.